Esigo 2 Wall, when functionality blends with style. 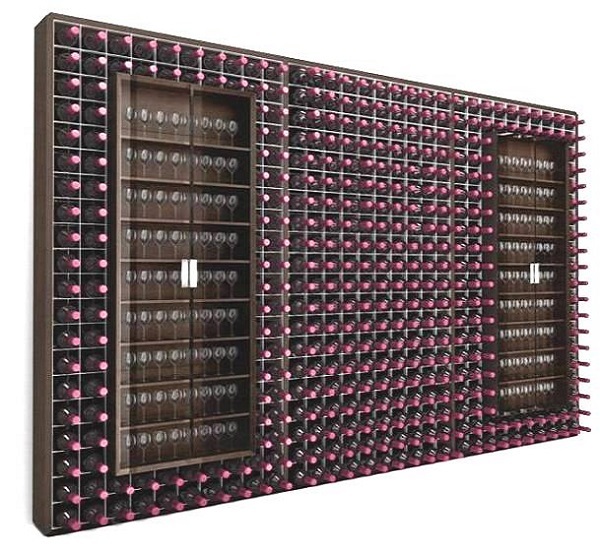 This metal wine rack has a steel grid and a glass door cabinet which can hold up to 200 bottles per 1 m wide module, with a neat and contemporary design. It is a steel wine rack ideal for furnishing wine cellars, wine bars, wine shops, wineries tasting rooms and retail shops, and also the homes of wine lovers.